Still in the throes of developing your product? Busy fulfilling promises made to beta customers? Then paying attention to the agreement sent to you by your marketing freelancer or creative agency for that new corporate website or that new logo is the last thing on your mind, right? Big mistake. Unlike outsourcing product development efforts, most entrepreneurs don’t pay too much attention to contract terms like “works made for hire,” ownership rights and copyright laws when outsourcing their design projects. The general assumption is that their company would have full ownership rights to all designs and design files created since these are “paid for.” The truth is a little more complicated. An entrepreneur, we’ll call him Al, signed an agreement with a visual design agency for what is known in the business as a visual identity package and a corporate website designed on WordPress. He assumed that his company would own all project deliverables: WordPress theme, logo file, business card vector files, letterhead and presentation template files, etc. But what he didn’t notice in the contract was that the agency specifically outlined that works created by the agency were not “works made for hire.” Additionally, the contract also outlined that works created by the agency was licensed to the company for use in perpetuity but only in its original form. Quite simply, Al’s startup did not own the works created nor could he make changes to the works without notifying the agency, who as the sole owner of the work, was the only party able to make changes. Al could use the website theme, logo, business card files, etc. but every time a new employee was hired and new business cards needed to be printed for that employee, Al had to pay this agency $100 (their hourly rate and hourly was their smallest incremental invoicing rate) to add the name and title to the business card file. The agency was the only entity that could make layout and design changes to the theme at $100 for design and $150 per hour for CSS or code changes. 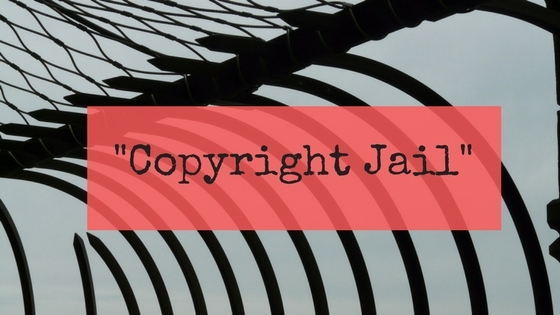 Tweet: This #founder got out of “agency jail,” by paying for the #copyright to the work he already paid for. Don’t let this happen to you. Al could have full ownership rights but for a price. Al basically had to pay twice for the work or keep paying the agency’s rates. The only way for Al to get out of “agency jail” was to buy the copyrights to the work. This may not seem like a legal way for a freelancer or agency to conduct business. But it is. It may not be ethical but it is perfectly legal. To ensure that you don’t find yourself in Al’s shoes, here’s how to get yourself up to speed so that you can ask the right questions of your agency to be and/or your attorney next time you have to review a contract when outsourcing a design project. Here’s an excerpt from the circular from the U.S. Copyright Office defining what is Works Made for Hire. The full circular can be found here. Also helpful is LegalZoom’s suggested agreement for Works Made for Hireprojects. This must not replace consultation with your legal counsel but it is helpful in helping start a conversation with your attorney.